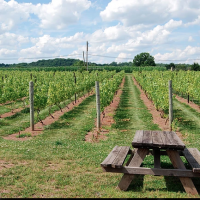 Resting outside Trenton, NJ, Hopewell Valley Vineyards is redefining the wine industry by turning to its old world roots. Sergio and Violetta Neri, the founders of the winery, use their cultural backgrounds to transform the American wine industry. Both Sergio and Violetta grew up surrounded by vineyards. In his childhood, Sergio and his family operated a vineyard and winery in Brunello di Montalcino region, nestled just south of Florence. At the same time, Violetta learned how to make wine from her grandmother and mother in Macedonia. Besides wine production,Sergio and Violetta have another notable passion. The Neri family has a special commitment to supporting local autism intervention programs. 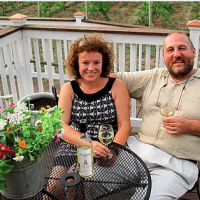 The Hopewell Valley Vineyard fundraises through various initiatives such as creating kindling boxes and planting poplar trees. They run an Autism Project shop as well. Never forgetting their roots, Sergio still retains vineyards in Tuscany. 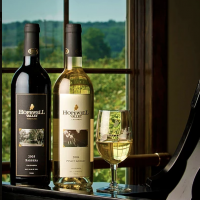 However, Hopewell Valley Vineyards is where Sergio and Violetta see their future. In 2016, the vineyards won various awards in the NJ Wine Competition and the Atlantic Seaboard Wine Competition. 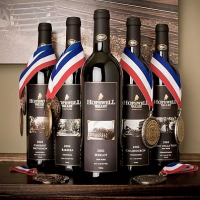 It is undeniable that Hopewell Valley Vineyards will continue to be home to the Neri family for many generations to come.